Absolutely LOVED hanging out with Sara and her mom in Historic Dublin a few weeks ago. We had our first session in the summer and met again to do some fall shots. She is fun, sweet and as the pictures show, beautiful! Enjoy sharing some favorites with your family Sara and have a Happy Thanksgiving! Sara and I had a great time hanging out, talking about her future, laughing… oh and taking some beautiful photos! She was a natural and made my job super easy, just point & shoot! The sunset didn’t quite cooperate until the last few minutes of the evening, but we still got some great shots for the start of her senior year. She is doing another session in the fall and I can. not. wait! **Disclaimer // We tend to edit a tad more “naturally” now with less saturation of colors… but aren’t these still beautiful!?! **Disclaimer // This session was a few years back and we love it too much to remove it… however, we tend to edit a tad less “saturated” now and images may look different. As artists, we have an ever evolving style! Nina is an OOHS soon-to-be senior and we had a great time during her photo shoots. We first met at Indian Run Falls in Dublin, but we barely got in our session before the July storms got the best of us. We then met at InnisWood Metro Gardens in Westerville for session two and had a bit more time. Nina is a beautiful girl, which helped us capture images that are hopefully worthy of this special time in her [and her family’s!] life. 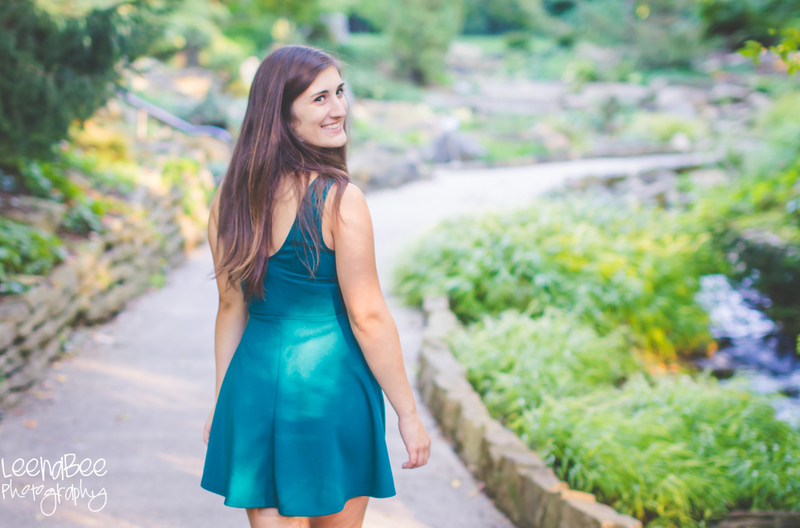 Westerville Senior Photos + Five tips for making your senior session a success! Five Tips for an Awesome Senior Picture Photo Shoot! 1. Show the various sides of your personality. A mix of dressy & casual outfits, some smiling photos, some not… we want to showcase your many facets! Try on your outfits prior to the session and make sure they ‘work’ for you. Practice various smiles, stances, positions – sitting, standing, arms crossed, etc – in the mirror. Yes, you will feel silly… but who cares! 3. Textures and layers can add an interesting dimension – think belts, shaw/kimonos, scarves, jewelry, layered tops. You can always switch them out with a neutral outfit to give a photo a whole new look. 4. Be YOU… but a polished version! This is NOT the time to try a new hair cut or style… try that a few weeks/months prior. Pay attention to little details that will likely end up in photographs (nail polish, shoes, etc). Girls – even if you don’t normally wear makeup, a little neutral makeup can really make a difference! Be daring and splurge on hair or makeup! Also, if you have a location, props, etc that are important, ask if you can incorporate them into your session.